1 of 20CAUGHT YOU LOOKING, GO AHEAD AND BOOK IT! Among our world-class offerings are unmatched sport fishing, scuba diving and snorkeling along the barrier reef: the second largest in the world! You can also charter a boat on the Monkey River, where howler monkeys play and crocodiles slink around and sun themselves on rock. A little further afield, about an hour away, you will find the breathtaking Mayan ruins. Just a bit up the road from there, you can try your hand at ziplining, soaring above the forest floor and cascading waterfalls of Belize. Also, explore Or, you can just spend the day lounging around. There are many places to do just that—from the townhome’s pool to the sugary sand beach just a 5-minute walk away. Have the cab driver call Edwin when you arrive. You can also ask your driver to stop at 'Top's Groceries' to pick up provisions (no need to buy bottled water). Edwin our caretaker will greet you upon your arrival to the property. At that time, he will load the boat in order to transport you and your luggage to the property. The unit is only accessible via boat, as it sits on a private lagoon just a few feet away from the mainland. 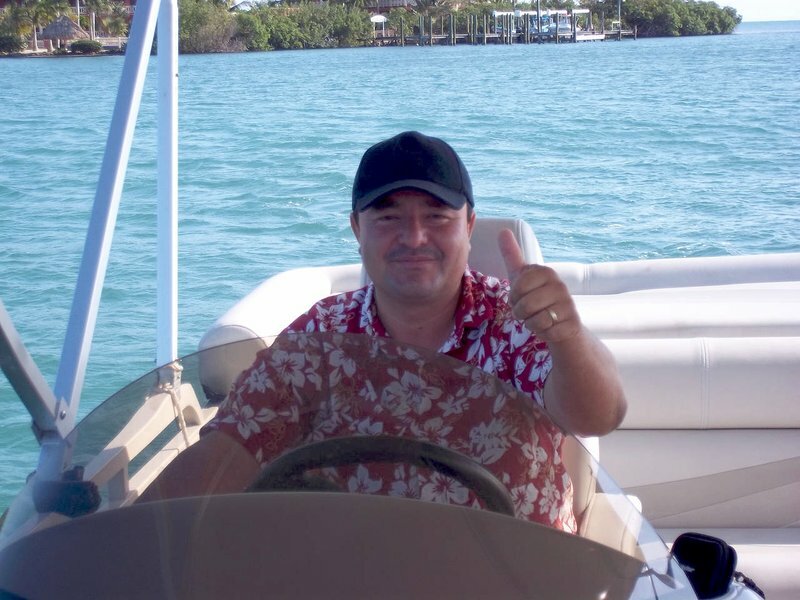 Consequently, Edwin drives the boat for all guests.